"Fake news on the use of chlorine or other chemical agents by the government forces continue," the ministry said. "Another piece of such fabricated information on the alleged chemical attack in Douma emerged yesterday." Allegations about the use of chemical agents by the Syrian government forces are aimed at justifying external military strikes, the ministry said. "The goal of these false speculations, which are not substantiated by any facts, is to cover up terrorists and irreconcilable radical opposition, which opposes political settlement, and to simultaneously try to justify potential external military strikes," the ministry said. 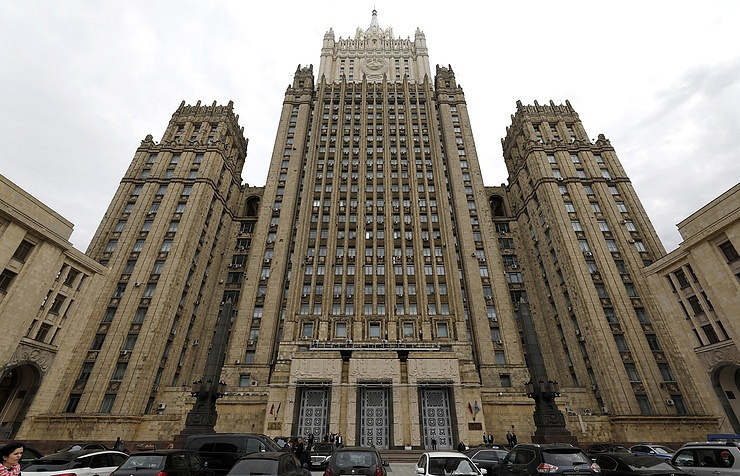 "It is necessary to once again caution that military intervention under false and fabricated pretexts in Syria, where the Russian servicemen stay at the request of the legitimate government, is absolutely unacceptable and may trigger the gravest consequences," the ministry said.